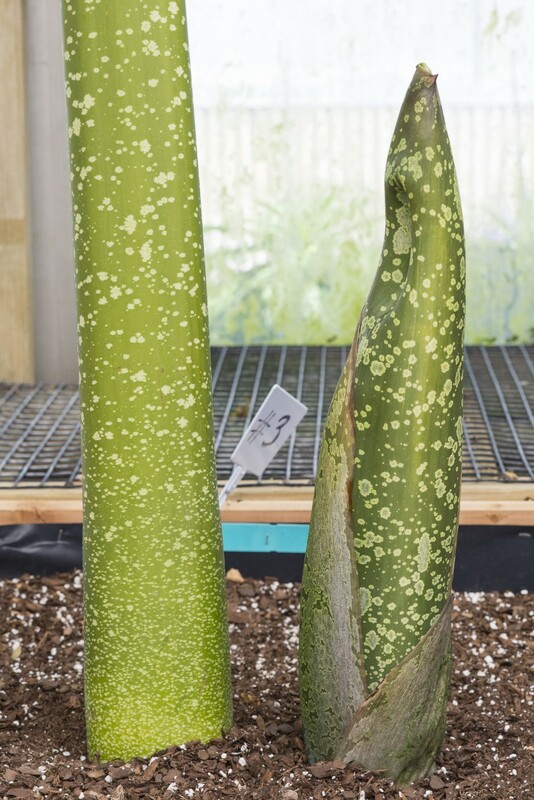 Yesterday we moved our first titan arum (Amorphophallus titanum), “Spike,” to the Semitropical Greenhouse. Now we are all watching and waiting for Spike to bloom—a dream of the Chicago Botanic Garden for 12 years! Finally, in the next ten days or so, we’ll see the fruit of our labor in all of its stinky glory. 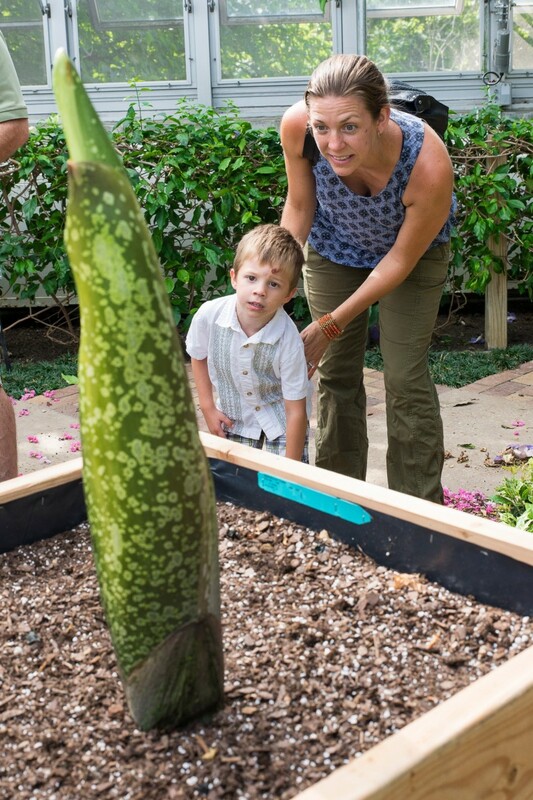 Meet Spike, our titan arum (Amorphophallus titanum). We expect great things from this magnificent plant. Over the next several days, Spike will grow taller—some days, a barely noticeable inch, and other days, a remarkable 4 or 5 inches. 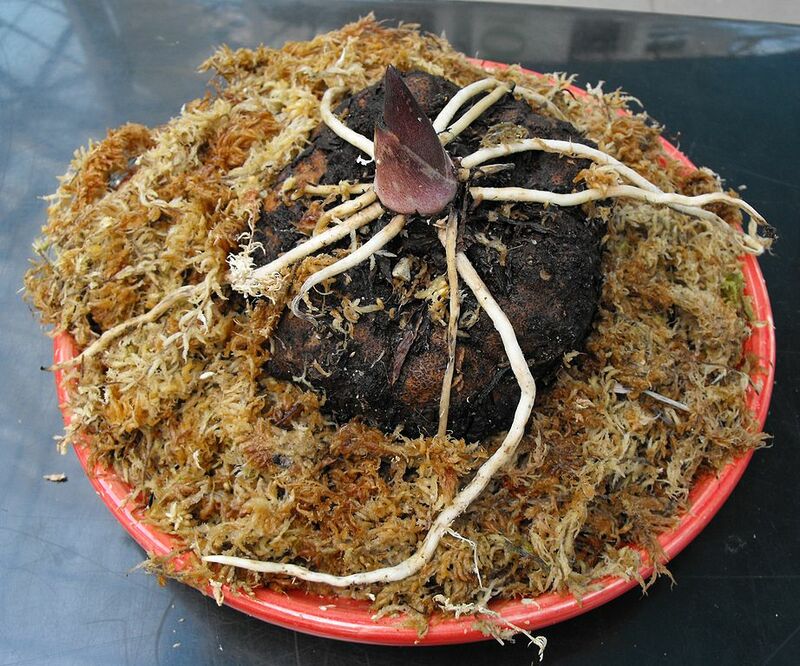 Below the soil is a giant corm, which is a type of underground tuber or bulb (some can weight up to 200 pounds). 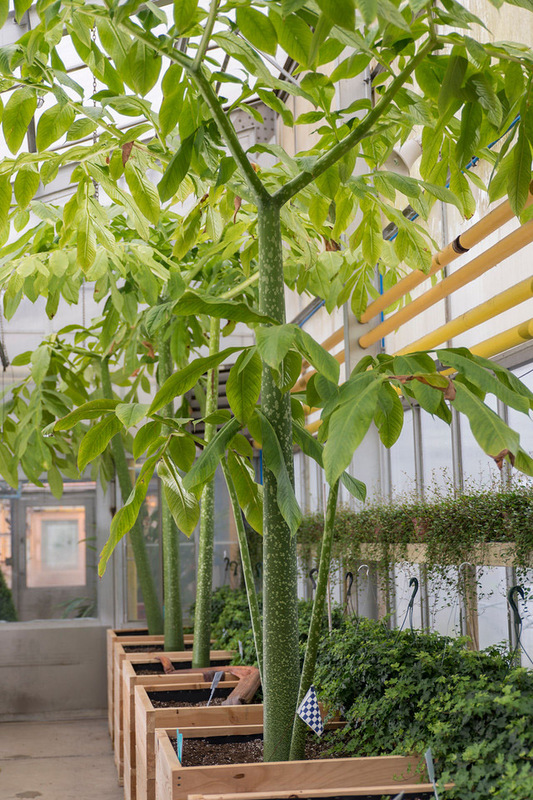 The titan arum bloom has previously gone through three to ten annual cycles of emerging as a leafy stalk, dying back, and sending that energy back into the corm, which began as a germinated seed about the size of a quarter. 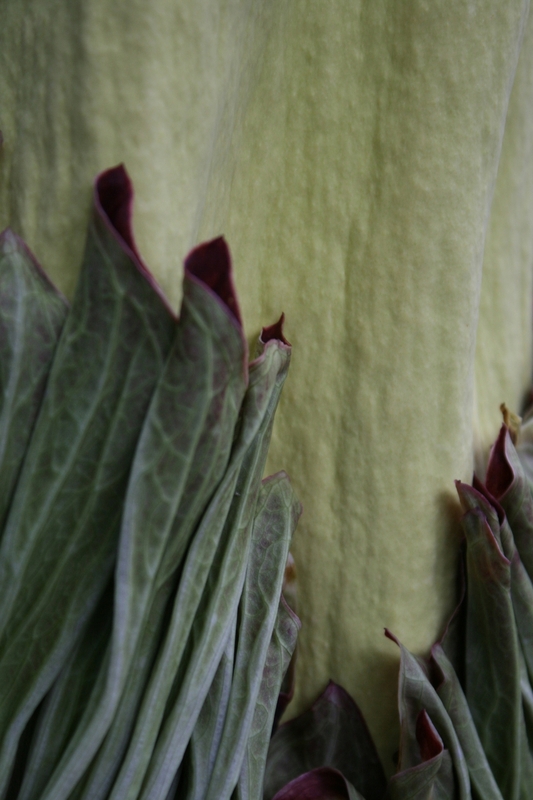 While it will look like Spike is a 6- to 8-foot-tall flower, what you will see is actually a tall spadix (flower structure) wrapped by a spathe (a frilly modified leaf). 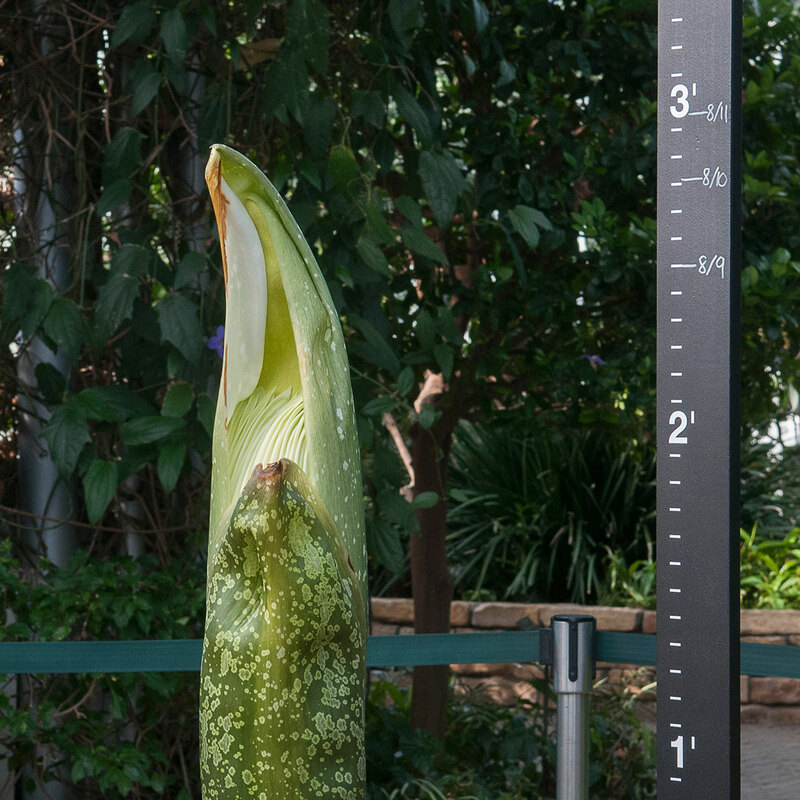 Over the next week, the spadix will emerge out of the top of the bud and continue to grow taller, until it’s time for the bloom. 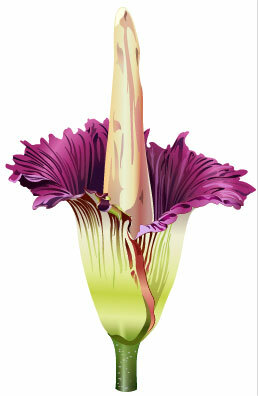 For a single day, the spathe will unwrap and open to a dark, velvety red “bloom,” closing again roughly 24 hours later. 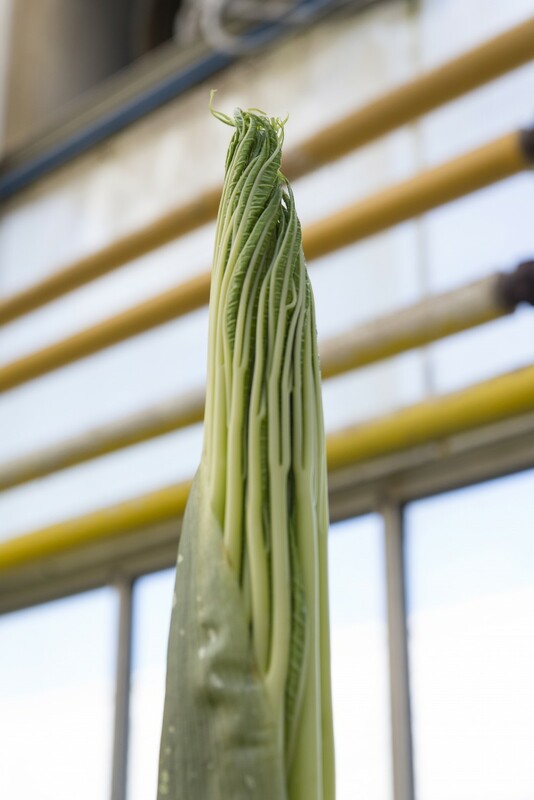 Inside the tightly wrapped spathe, the plant uses stored energy from the corm to heat up internally to 90+ degrees Fahrenheit. 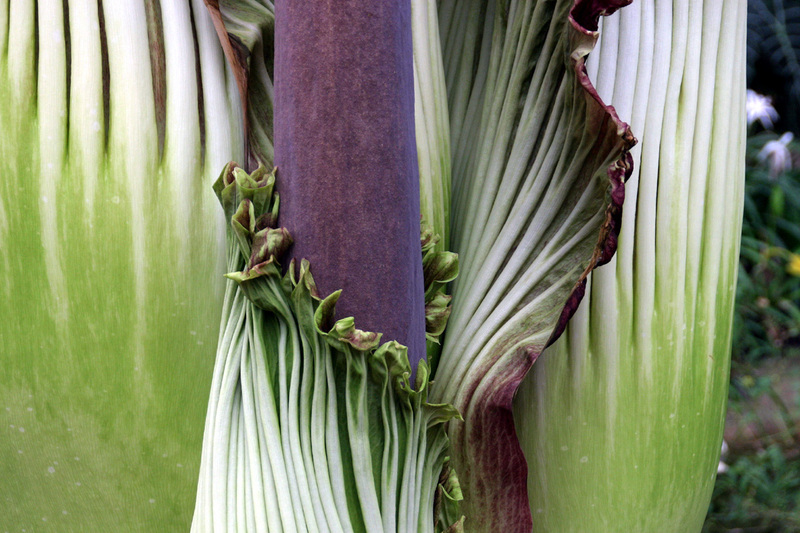 As the spathe opens, the 750 small female flowers ringing the bottom of the spadix release scent molecules that are volatilized (vaporized) by the heat, creating a blast of scent so powerful that it can travel an acre (or the distance between individual plants in their native Sumatran rain forests). The scent is a calling card for pollinators. This is yet another “Wow!” produced by our production greenhouse staff for our visitors to rave about. But Spike is the most distinguished of them all. 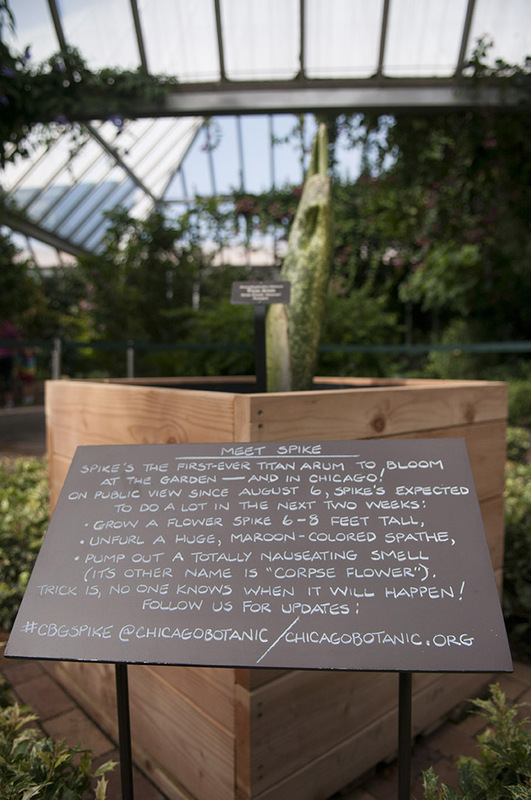 When Spike is ready to bloom, the Chicago Botanic Garden will stay open until 2 a.m., so everyone will have a chance to take in the odor and the remarkable color of the world’s largest unbranched inflorescence—a “Wow!” indeed.